Cotton Depot Store at Mall of Asia Philippines – The number 1 Cotton Fabric Store and Sewing accessories in the Philippines. establishing to be the premier retail trader of textile that specializes mainly on cotton fabrics in the market. 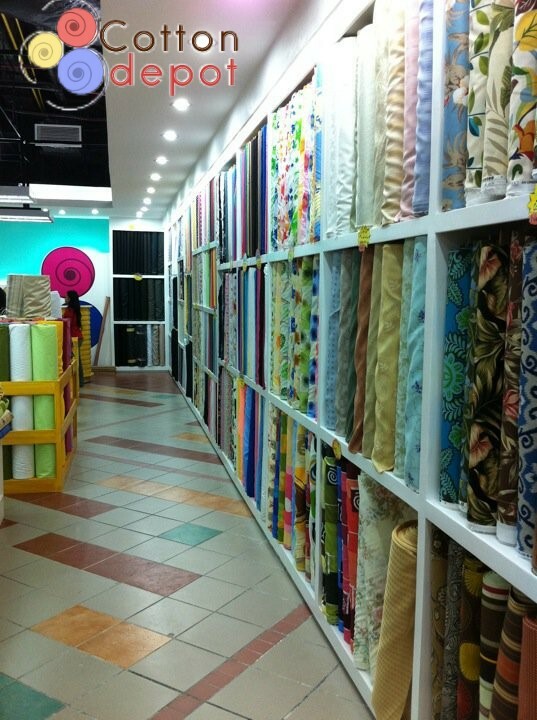 Cotton Depot is the one stop shop for cotton fabric needs. The very best place for cotton fabrics for clothes, suits, dresses, beds, curtains, yarns, threads, accessories, other home decors. Awesome website here..we are so glad we advertised Cotton Depot with you here on mallphilippines.com we are getting allot more customers calling us now..Thanks again!